This is the great pull of the Serengeti for so many people, the feeling that you are smack bang in the middle of a David Attenborough documentary, where the sheer numbers of wildlife that move up to the northern part of the park between July and September as part of the annual wildebeest migration literally takes your breath away. A single wildebeest on its own is nothing special (no offence to the wildebeest) but when you've got over a million of them in one place, well that's impressive. And it's not just the wildebeests in that great procession across the plains. There is life from one end of the horizon to the other - Thomsons and Grants gazelles, zebras, warthogs, cheetahs and jackals - and at times when you try and take in the enormity of their numbers it's almost like all those animals are just one big living being, with millions of tiny parts, each one playing a vital role in the ecosystem. 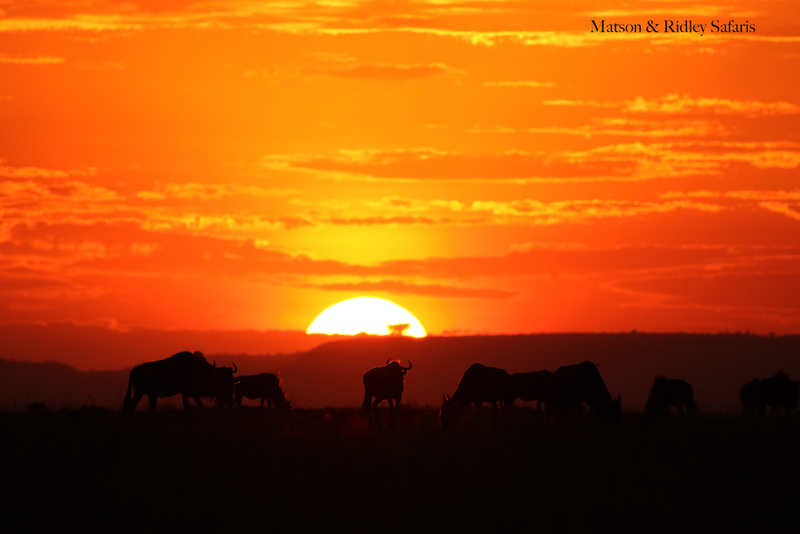 You start to dream about wildebeest and when you wake up, they're still grunting. It's amazing! This is why I keep on taking safari groups back to the Serengeti. Because while I prefer the lower numbers of tourist vehicles at sightings in the private wildlife areas of Botswana and Namibia, every time I go to Tanzania I'm simply blown away by the incredible numbers of wildlife and the way they all get along with each other (or not - as some do get eaten!). 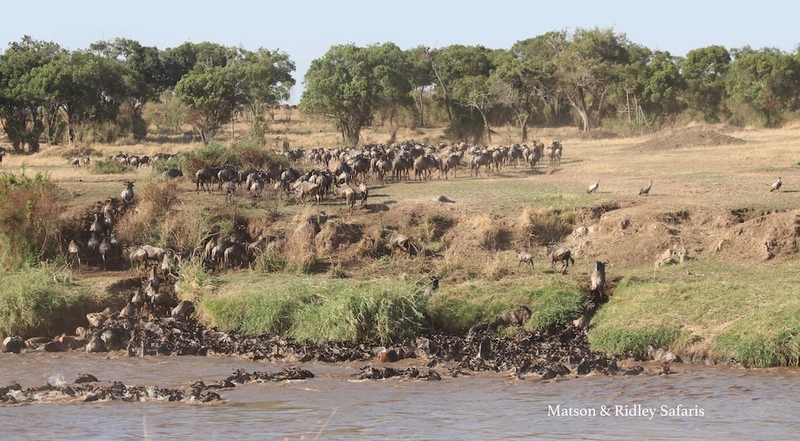 And of course there is nothing like watching the wildebeests and zebras crossing the river. The adrenaline is contagious and your heart is in your throat as some drift downstream or face certain death in the jaws of Nile crocodiles. 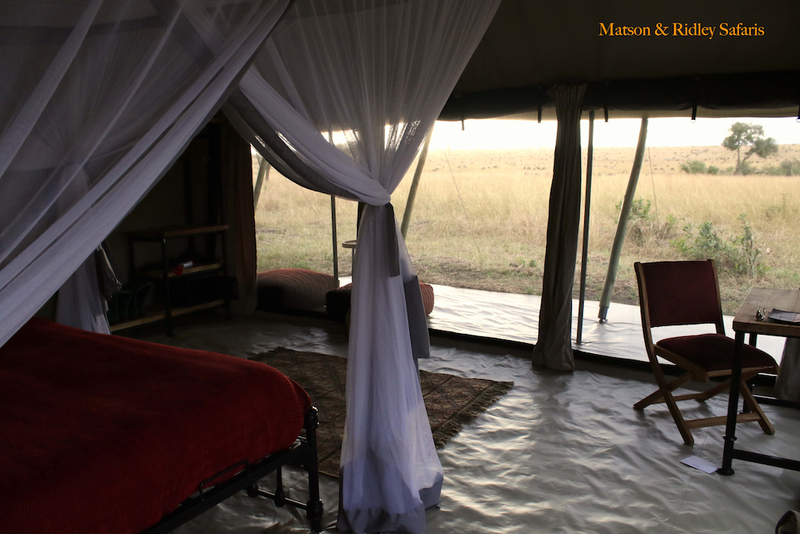 I love the Asilia Africa camps as they are down to earth, authentic tented camps placed right in the action for the best wildlife sightings. 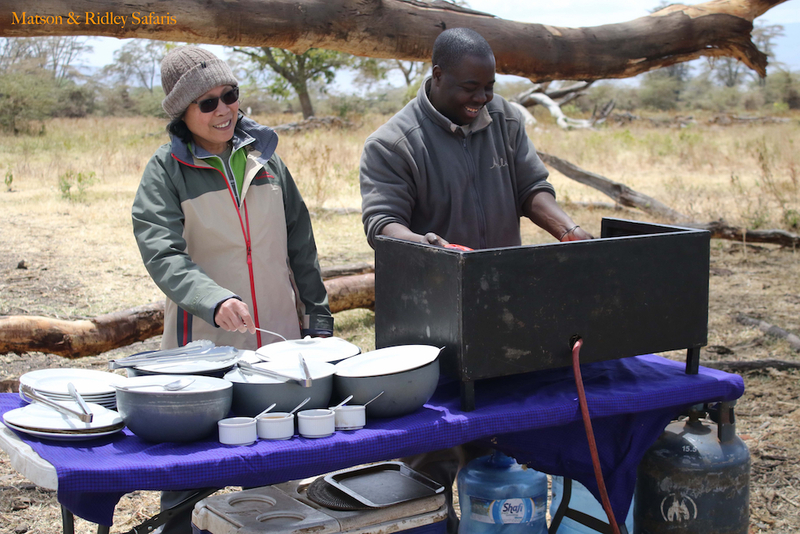 Because Asilia is an ethical company, giving back to local communities and conservation through the Asilia Giving Program as well as through their community-based safari camps, the local staff are more invested in giving you a great experience. 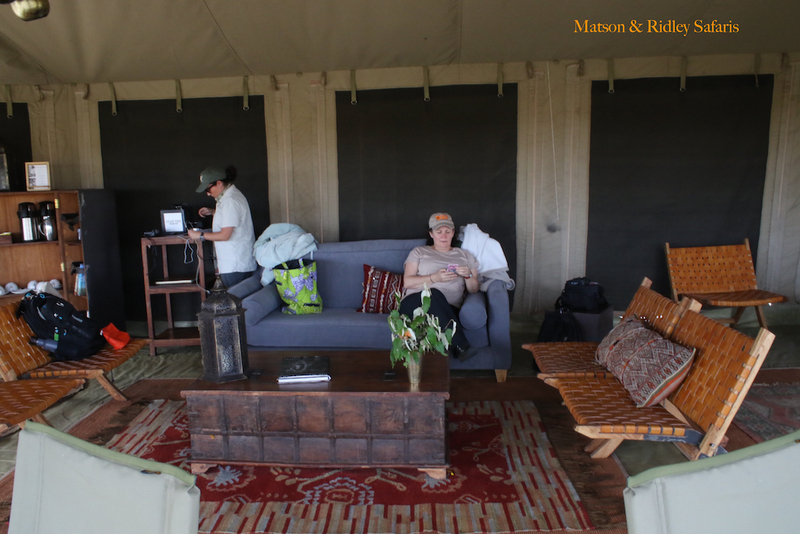 On my safari to Tanzania this year we stayed at two Asilia Africa camps - the award-winning, super chic The Highlands in Ngorongoro crater and Kimondo Migration Camp in the northern Serengeti. Kimondo is fully solar powered (awesome!) 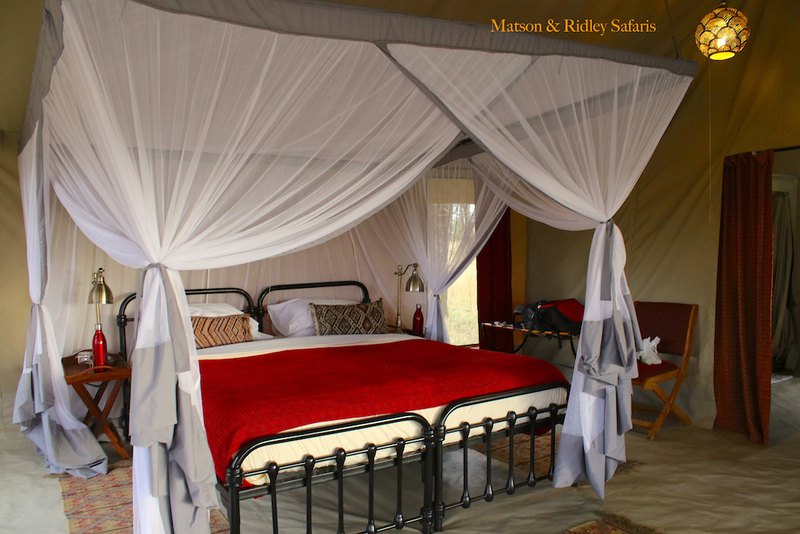 and The Highlands is a community-owned camp in partnership with the local Maasai. 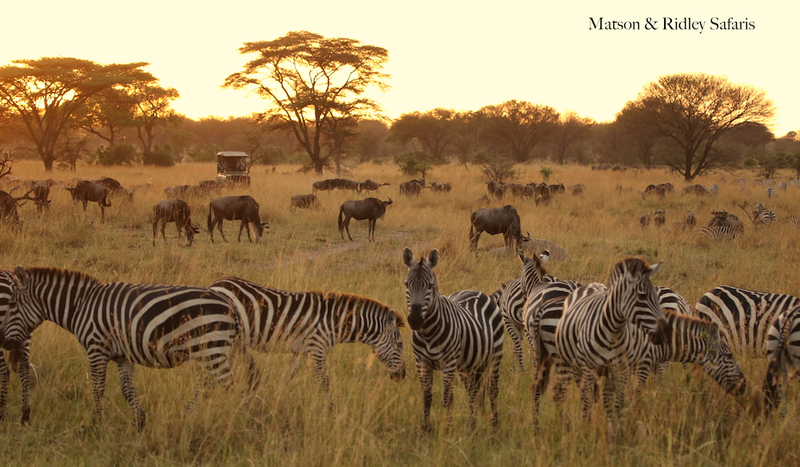 These camps are on my itinerary for August 2019 when I'll be taking another group to the Great Migration, so sign up for that one now as places won't last (4 already taken, only 12 available in total). 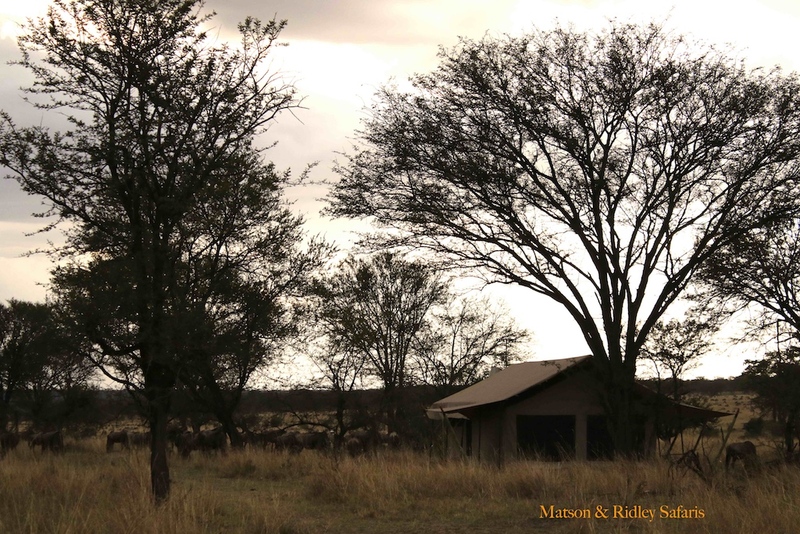 Here are a few pics of Kimondo Camp.... (that's wildebeest you can see in the view from the room below). 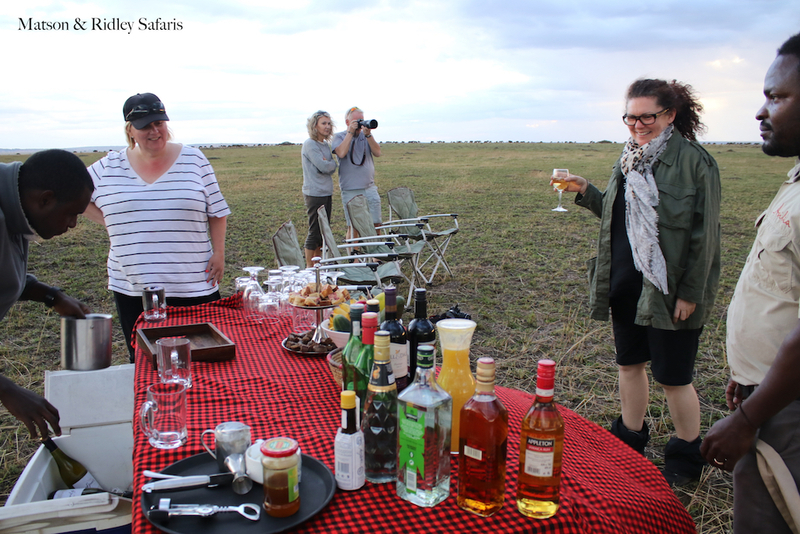 There's always something in the air at the start of a safari, and my group this August was no different. 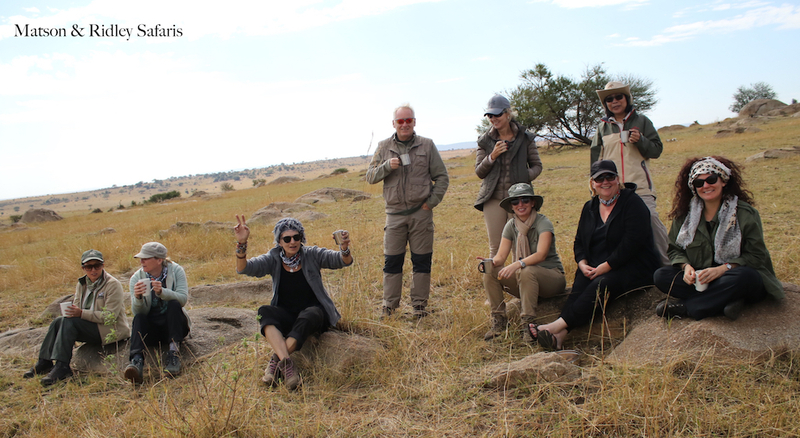 Several of us had already trekked with the gorillas in Rwanda first, while some folks joined us in Tanzania just for the migration experience. The excitement was palpable. You never know what you're going to run into on safari in Africa, and every safari is different. There was some unusual rain in the Serengeti while we were there, creating fresh green grass in the plains near camp and drawing every grazer in the vicinity. The clouds also created some mind boggling sunsets. Check out some of my favourite memories below. When you are a party to a sunset like this you really think you've died and gone to heaven. Don't you just wish you could press pause and stay there forever? Left to right: Imelda, Maggie, Kevin and Sue. In spite of some camera challenges we all got some great shots! 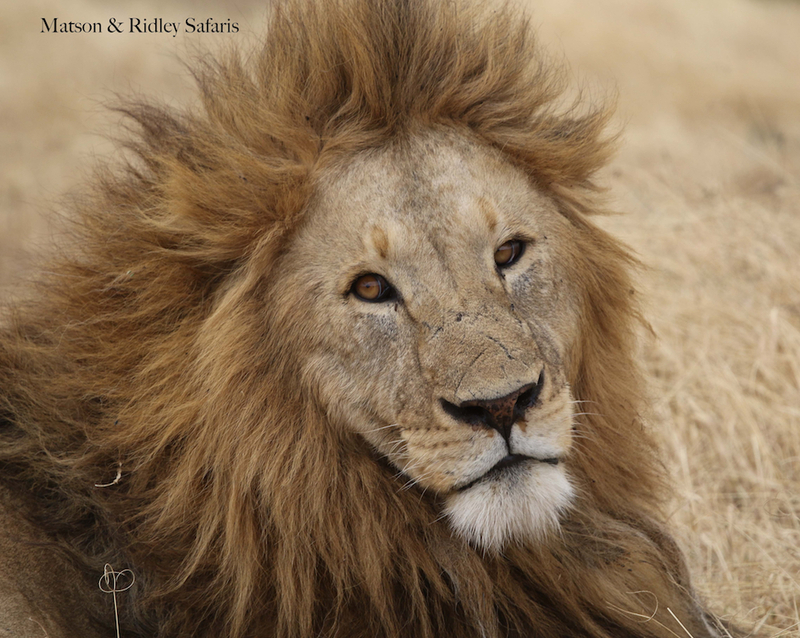 We spent several hours searching for lions in the Ngorongoro Crater until this big boy turned up. What an impressive male he was! 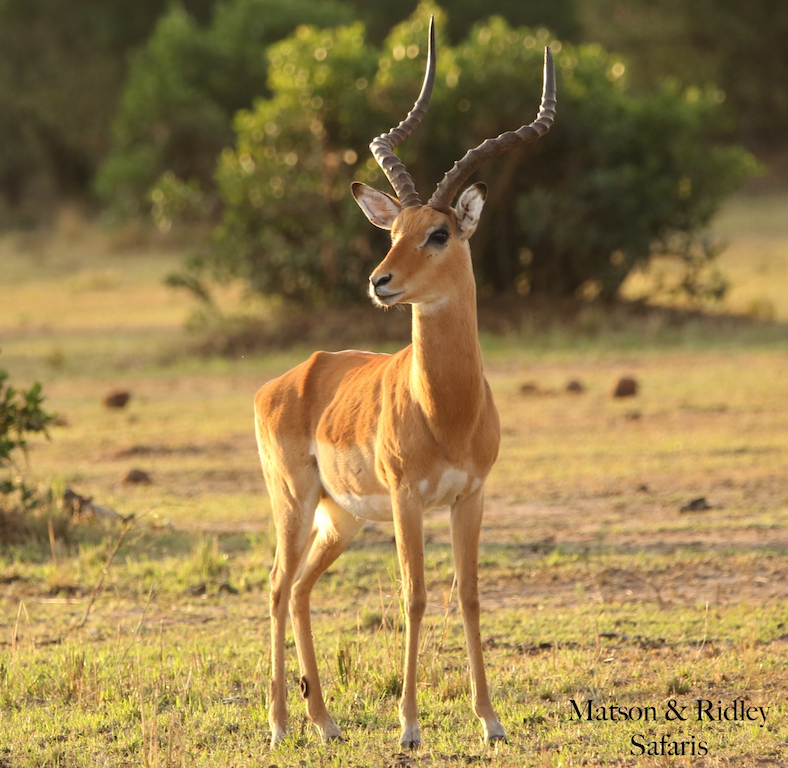 I can't resist an impala photo, and the impalas in East Africa are really impressive as their lyre shaped horns are the largest on the continent. 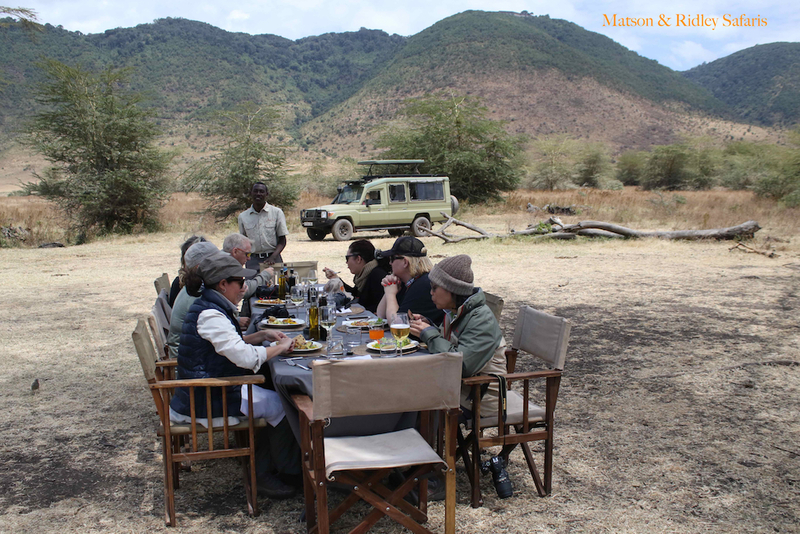 One of the highlights of this safari was the huge lunch spread arranged for us in Ngorongoro Crater by the amazing staff at Asilia Africa from The Highlands. 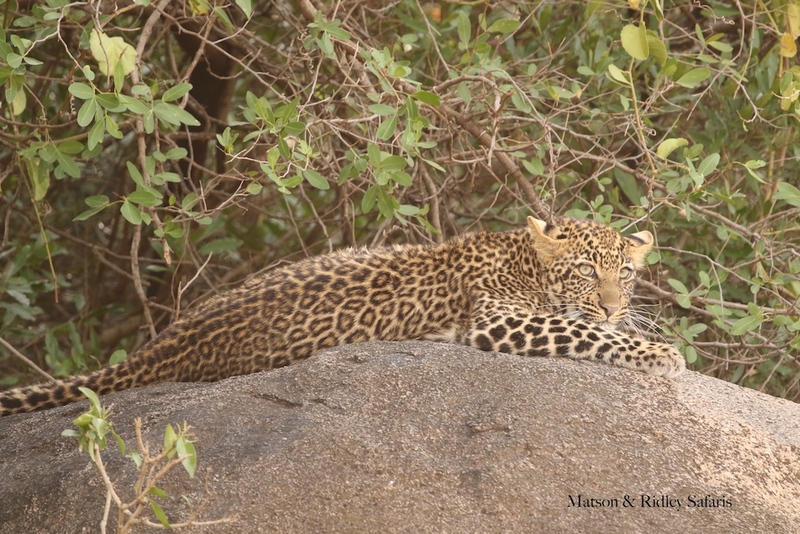 What a treat to find them in the middle of the bush with white table cloths, cold wine and smiling faces when we all had hungry tummies after an incredible morning of game viewing. Imelda jumped in to help the local staff with lunch preparations! Cheers! 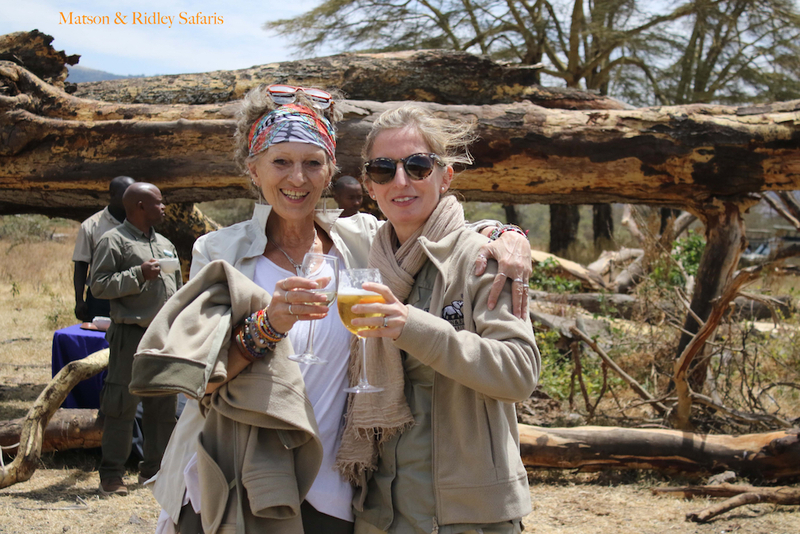 Maggie and I having a toast to what was her third safari with me. 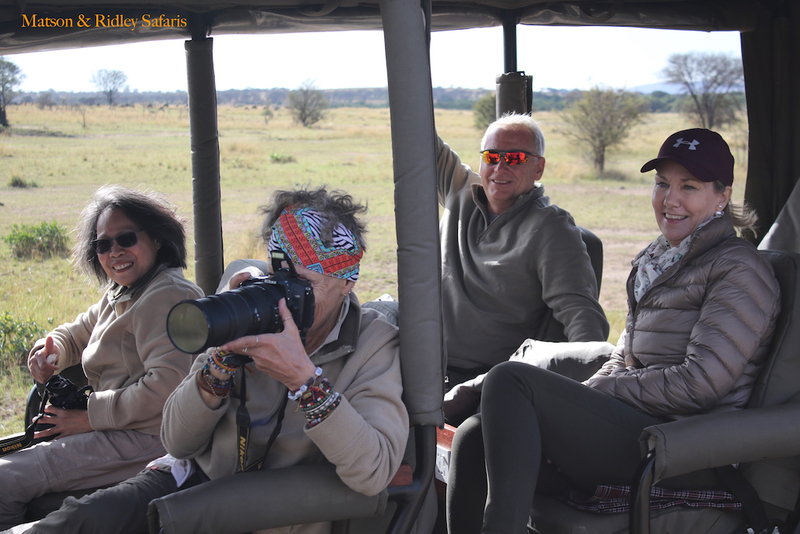 Here's a lady who appreciates every moment on safari and never stops smiling. 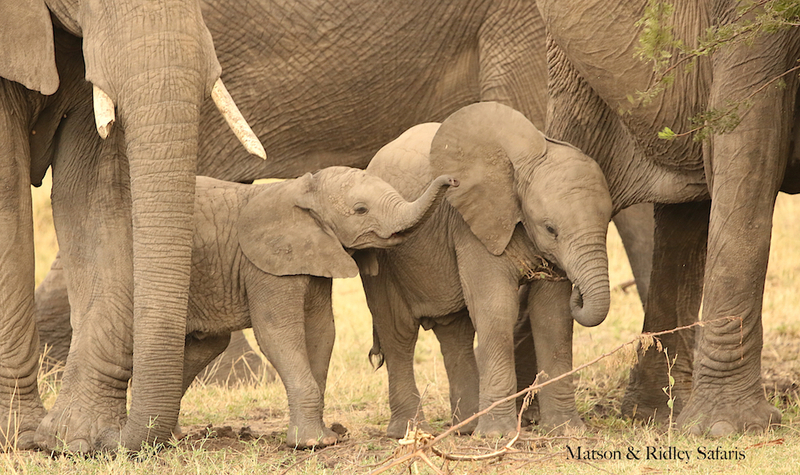 The Serengeti hasn't been as hard hit by elephant poaching as other parks in Tanzania, like Ruaha and Selous, and these gorgeous little elephants seemed totally relaxed in our presence. 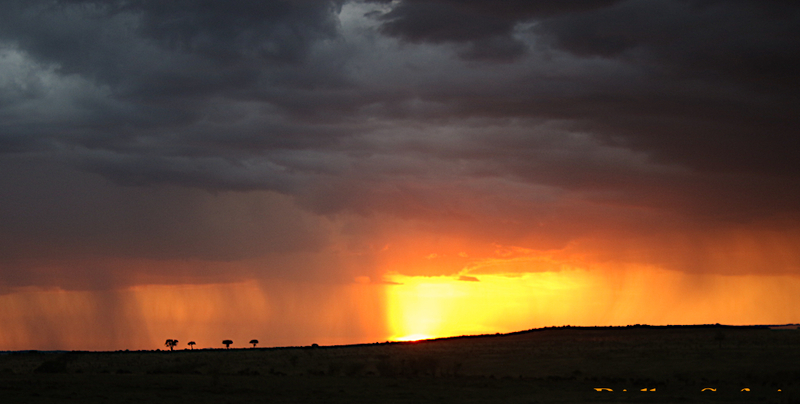 Rain on the plains during our stay created some amazing sunsets. Big skies like this are just one of the reasons I love Africa so much. It really does feed the soul. 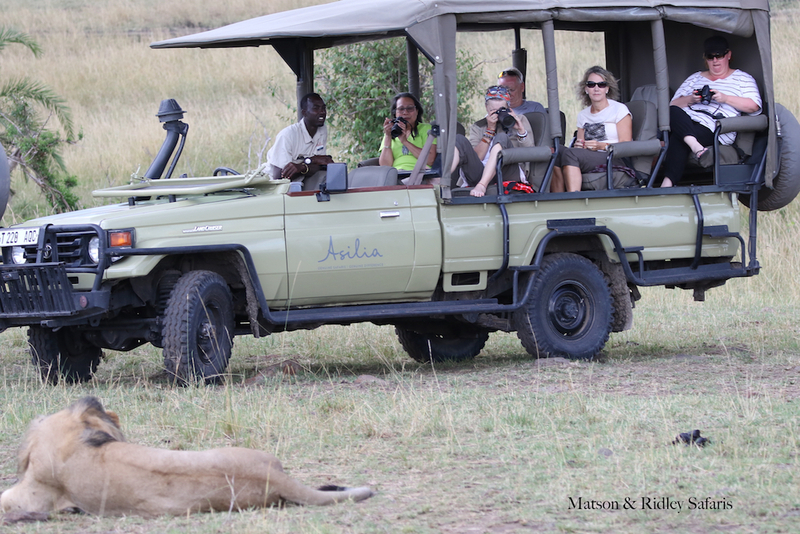 For first timers to Africa, the close proximity of lions to the open vehicles can be alarming but you soon realise that the lions aren't interested in eating you for dinner (as long as you stay in the car and keep your movements and noise to a minimum so they don't see you as a separate organism to the car!). Ahh yes. Sundowners. The great tradition of Africa. Where would we be without it? Sign up for my August 2019 back to back safaris to Rwanda and Tanzania today, enabling you do both the mountain gorillas and the migration in one trip with me. Due to early demand I am already taking bookings for this one. Read more here or drop me a line on our Contact page and I'll email you the itinerary in full.